When you arrive a little late to a party that everyone has gone out of their way to hype as extraordinary, it's difficult to not be at least a bit concerned that it might be a let down. 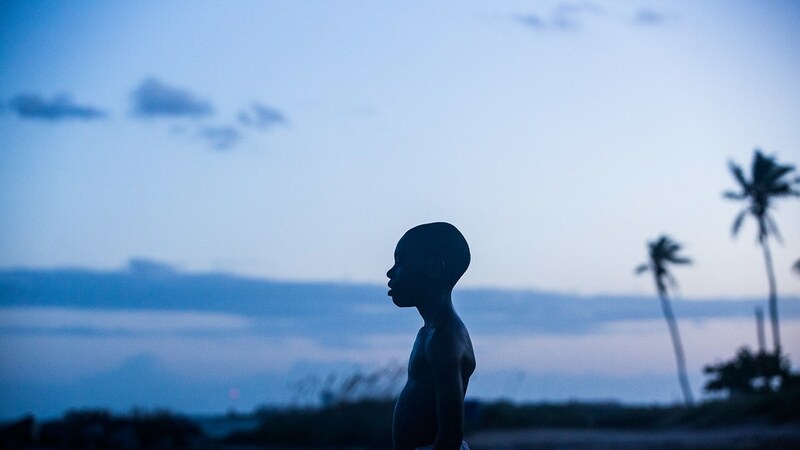 It seemed like a day didn't go by without someone new I spoke with seeing and praising the critically acclaimed Oscar contender Moonlight, directed by Barry Jenkins, and I was dreading a picture that would be crushed by its own weight, or at least the weight I put on it through building expectations. The phrase "turn your brain off" is used quite often in regards to viewing both cinema and television, usually referring to content one might find fun as long as they don't think too hard about it, because with each thought a poor performance or a plot hole will rear its ugly head and bring the experience down a notch. So when I say I had to turn my brain off before taking my seat to finally see Moonlight, don't misunderstand me and believe I mean it in the same realm as watching a Transformers sequel. I simply had to turn off the part of it that held all of that noise, all of those voices heaping praise and bouquets at the film while I could only wonder why and when I would find out for myself. It's easier said than done, blocking out the noise, but looking back upon my viewing experience of Moonlight, I really did it. I don't recall ever thinking about what others had said or the awards it had won or what it could win in the future. I was swept up almost instantly by the grace of the film, the tender way it approached the heavy subject matter of a boy becoming a man, always trying to find himself while feeling lost in a world that will not accept him for who he is. He won't accept it himself, and you could feel the internal struggle from all three actors that brilliantly portray Chiron. When the film starts, he isn't Chiron just yet. It's his legal name, sure, but when we first meet him he's a young boy who goes by the name "Little", played by Alex Hibbert. "Little" is growing up in the 1980's and we are introduced to him as he is being chased by a group of bullies. We don't know why and we don't need to, as Jenkins is establishing what this young man is going through without having to say a word. He finds safety in the form of an abandoned motel, and he is discovered there by Juan (Mahershala Ali), a local crack dealer. When "Little" is asked where he lives, he won't answer. In fact he won't say a word, so Juan takes him home to be with him and his girlfriend to make sure he is safe. After being fed and told he can spend the night, "Little" starts to speak, and the following day Juan brings "Little" home to his emotionally abusive, addict mother Paula (Naomie Harris). 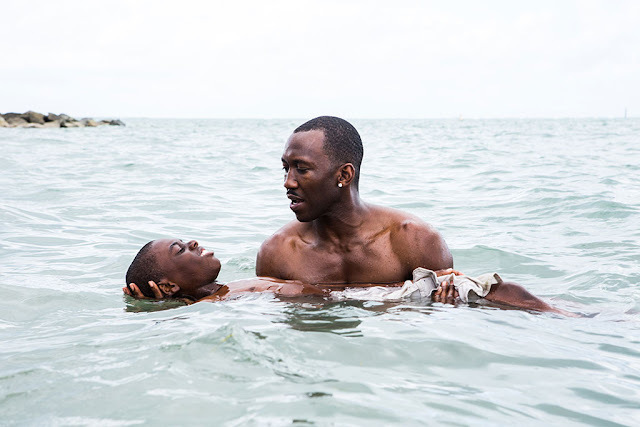 The entire film is masterful but the first scene that made me swoon happens during the "Little" first act of Moonlight, a scene in which Juan takes "Little" to a beach, teaches him how to swim and has a superbly written conversation with the young boy about figuring out who he is and making his own path through life. It's the moment I realized that what I was witnessing was truly an eloquent, tender, beautiful picture, one that wouldn't need to manipulate or pander in order to make me feel something. Nothing after this moment proved this realization wrong. Moonlight is split into three acts, each named after Chiron representing different stages of his life, "Little", "Chiron" and "Black". The second, "Chiron", takes place during his teenage years (Chiron now played by Ashton Sanders) and the bullying is still plaguing his life, only now he can't outrun them and hide with one classmate Terrel (Patrick Decile) being the main facilitator of the harassment. Chiron's only friend being the same one he had as a young boy, Kevin (played by Jaden Piner, Jharrel Jerome and Andre Holland throughout the film) whom he shares his first sexual experience with one night on the beach together. We learn during the third act called "Black" which follows Chiron (now Trevante Rhodes) as an adult that that night, along with what happens the very next day had a profound impact on his life. Not one word of what I was told before I had seen Moonlight turned out to be false or hyperbolic. It's incredible cinema, directed with such a precise focus and artful sense of emotion and humanity, photographed by James Laxton whom will almost certainly be nominated for an Oscar for his work, written by Barry Jenkins based on a play by Tarell Alvin McCraney called In Moonlight Black Boys Look Blue, performed across the board by actors that clearly had a passion to work with Jenkins and the material he provided them. Moonlight is what it looks like when artists tell a story to the best of their abilities and everything, and I do mean EVERYTHING, comes together, and after the unforgettable final shot of the film left the screen, I literally said "wow" aloud, quietly to myself. Moonlight is a wow kinda film.